NoNo! RotoGram! 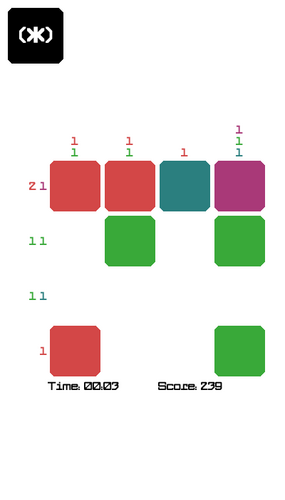 is a puzzle game about sliding. Think nonograms + Rubik's cube + 2D. It combines the rotation of a Rubik's cube and the scheme of a nonogram. 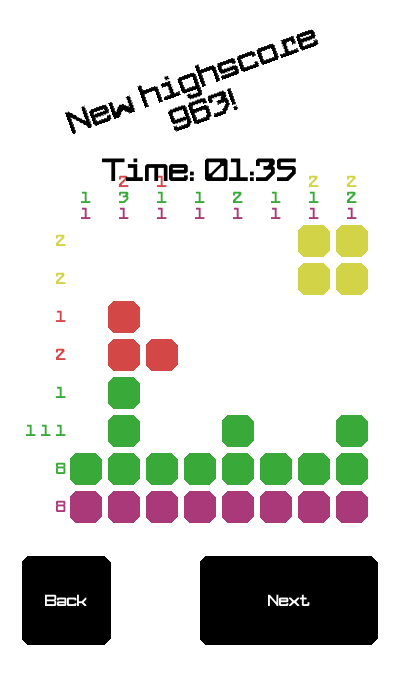 The game can be played in one of two modes: normal and color. 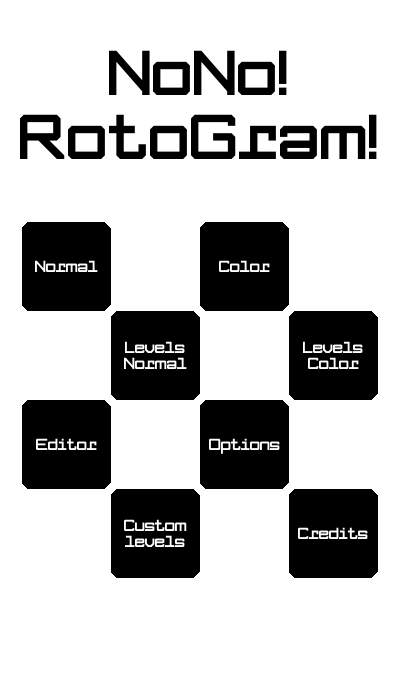 One only features black tiles, the other uses multiple colors for different tiles. 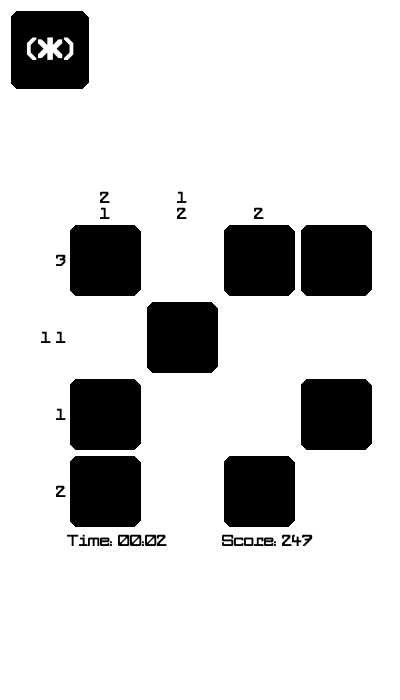 The game has built-in levels for the player to play and also features an option for endless randomized challenges. For the particularly creative players there's also the built-in level editor with a palette editor. Also available on Android! To install the apk file, you'll have to enable the 'install apps from foreign sources' option on your device. 2. Follow the install instructions on the page above. 3. I recommend you to start playing from built-in levels on normal mode. 4. The numbers on top and side are what's called a delta pattern. 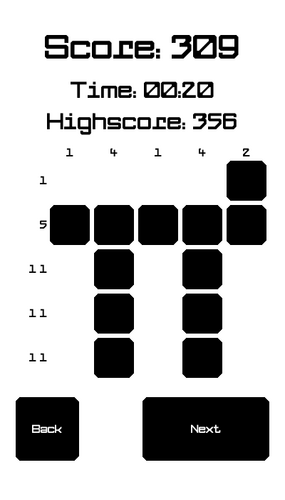 Let's concentrate on a single row to better understand how the game works. - The pattern `1` means there's only a single tile of the given color, but the position is unknown. - The pattern `1 1` means there are two tiles in that row, but their positions and the gap between them is unknown. - The pattern `2` means there are two tiles and they're next to each other without a gap between them. 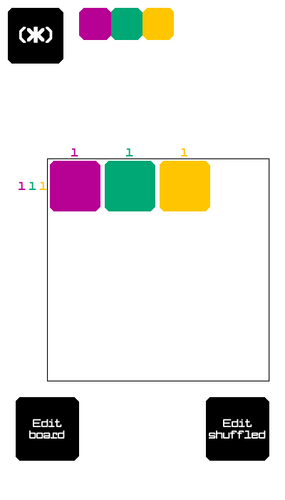 - In color mode the pattern `1 1`, where each `1` has a different color, means thereare two tiles of the specified colors in that row and they may or may not have a gapbetween them. 5. Complete the delta pattern both vertically and horizontally to complete a level. Tiles are moved by sliding rows or columns vertically and horizontally.